Life with two toddlers is everything but easy. Watching my two year old twins grow, learn & discover new things every day is truly amazing, but keeping them entertained can definitely be a challenge at times… so I’m always looking for new mom-friendly, simple toddler activities. When I say mom-friendly I’m talking about toddler crafts that don’t leave my house looking like a tornado swirled through it (it’s bad enough as it is). 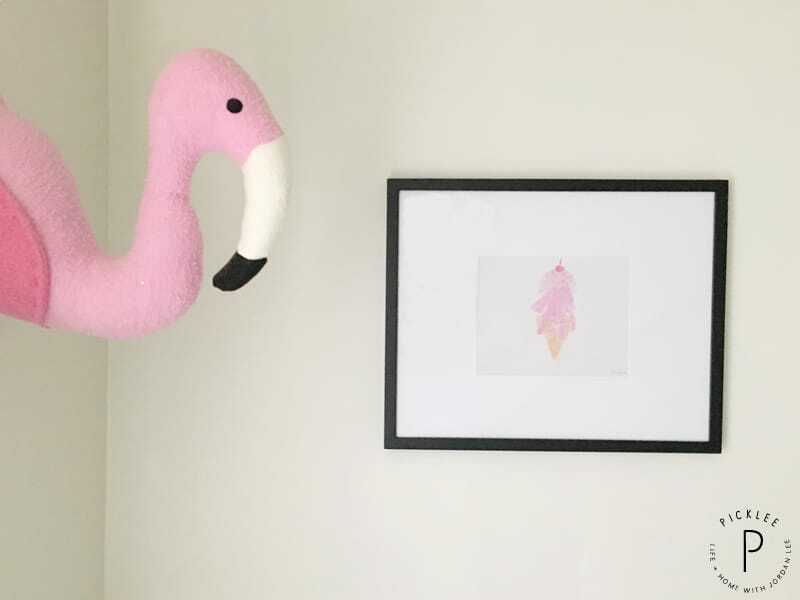 I also love finding toddler crafts that are fun to make and look cute enough to put on display around our home. So when I found today’s toddler hand print art I was super excited to give it a try. 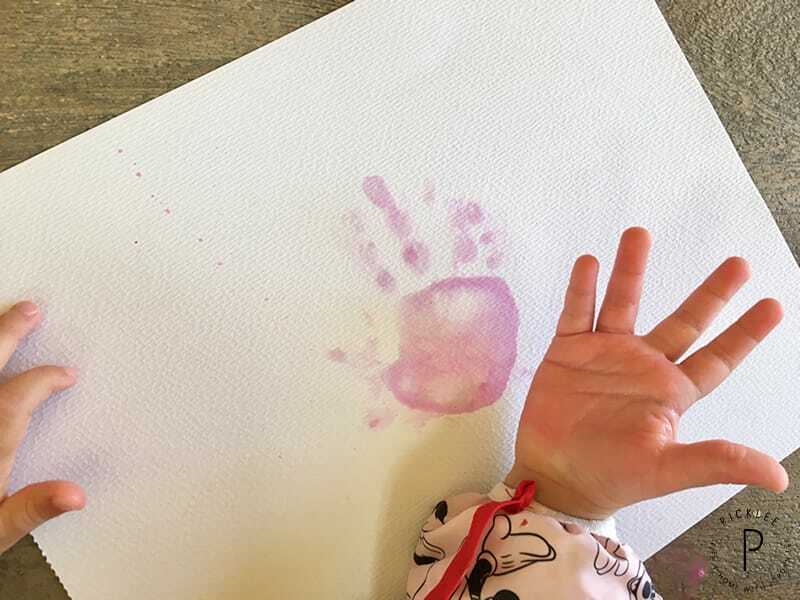 To keep clean up to a minimum, we decided to use watercolor paint on our hand print art. Set up your activity area with paper, paints, brushed and water. You’ll also want to have a few napkins on hand, and if you have an especially messy toddler/toddlers, you may want to put them in a bib or smock. 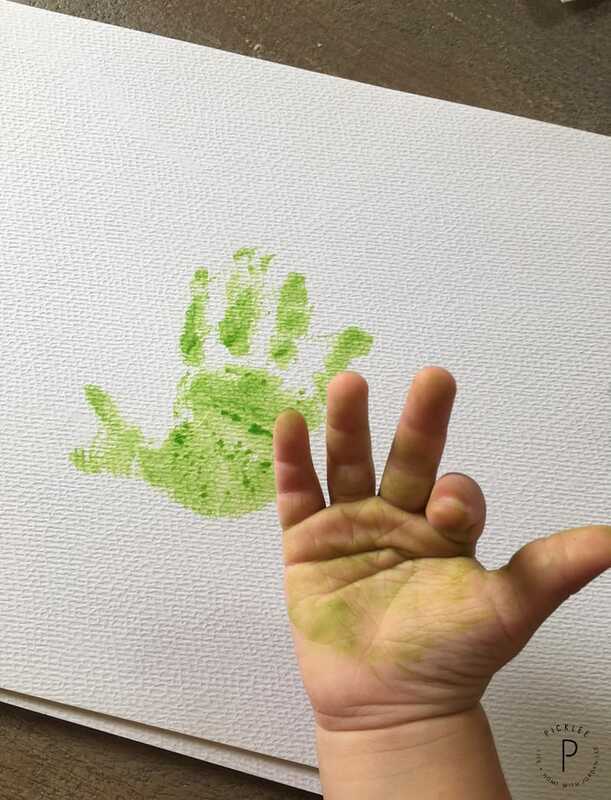 Brush a generous amount of water color paint over your child’s palm and quickly press it onto the paper. You’ll want to press on each finger and roll their hand a bit to get it to spread enough. 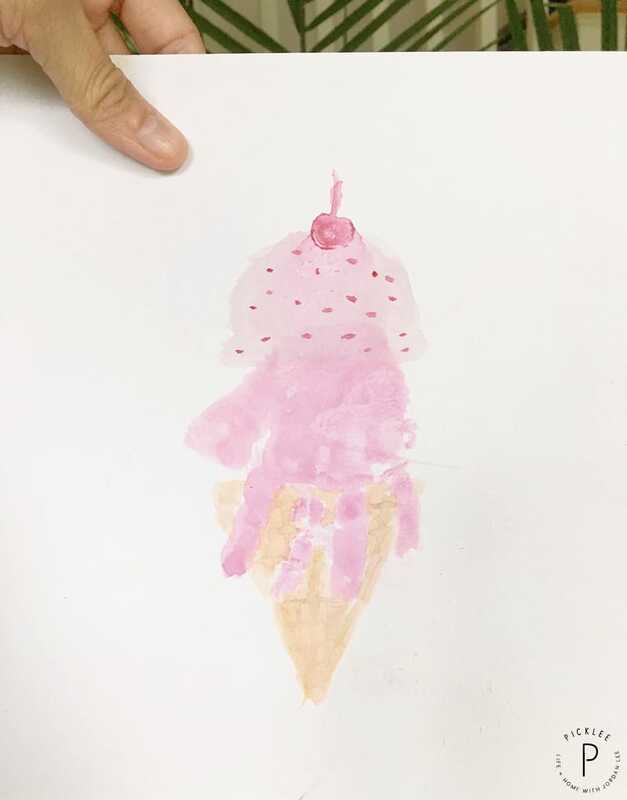 For Hayden’s hand print art, she requested an ice cream cone,so here’s her hand print in pink…. This next step required mommy’s help ;). Grant and Hayden watched and helped a bit while we turned their hand prints into a dinosaur and an ice cream cone. If your children are old enough, they can do this part themselves, otherwise you’ll want to give them a hand (sorry, couldn’t resist that pun). 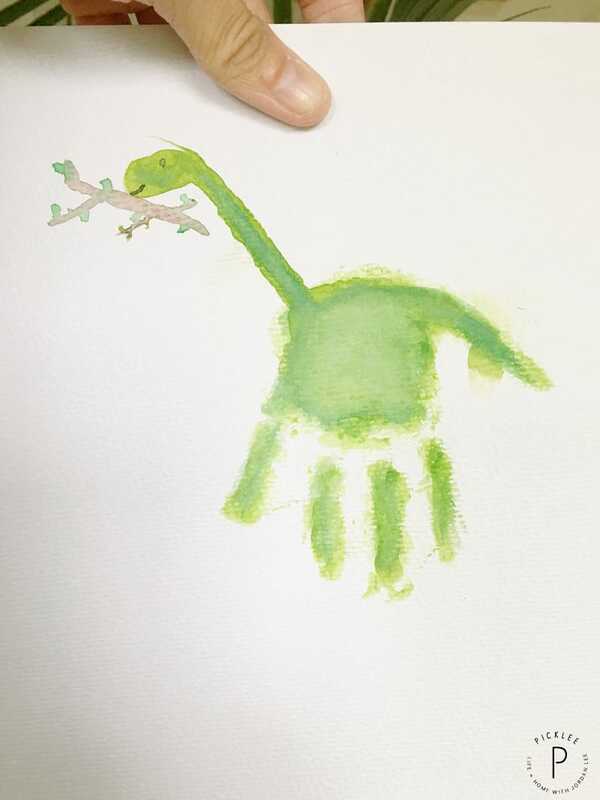 As you can see, for the dinosaur hand print art, we simple added the neck off the side of the palm, then Grant helped by coloring inside the hand to fill it out a bit. The hand print ice cream cone took a bit more work. We added a cone along with a scoop of ice cream on top of the palm and topped it off with a cherry of course! Our hand print art came out so cute and the twins were so proud, so we decided to frame it and hang it up in their room! 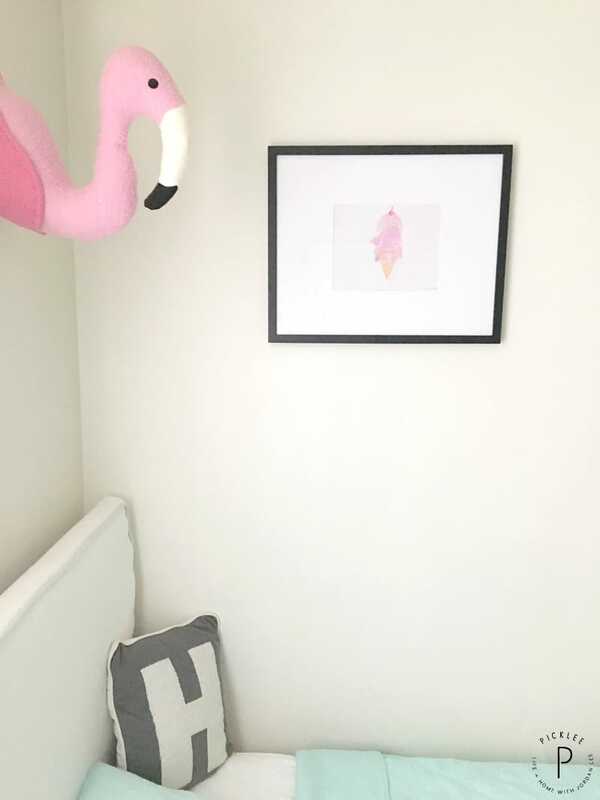 Here’s miss Hayden Claire’s ice cream cone hand print art hanging proudly along side of her favorite pink flamingo! 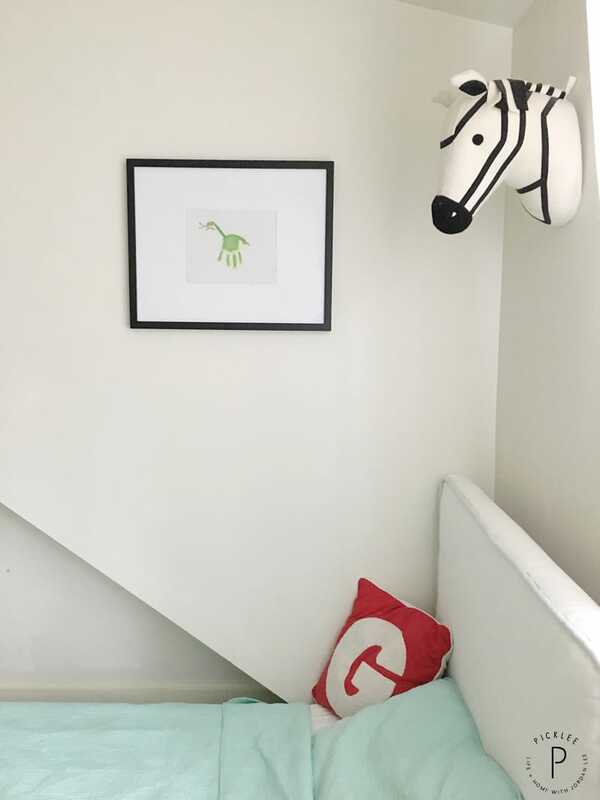 …and here’s Grant’s adorable little dinosaur hand print art just chilling out with his zebra buddy! Now at bedtime Grant makes a special point of saying “goodnight” to his new little dinosaur! 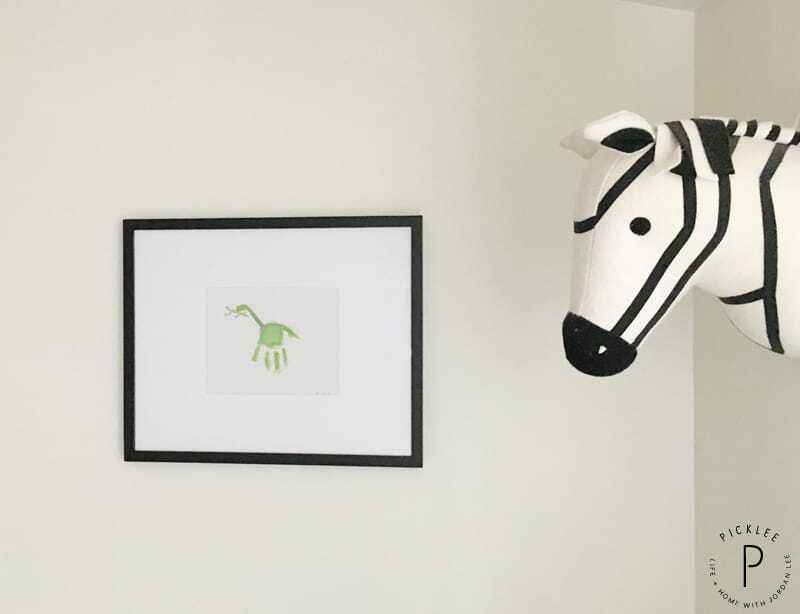 Enjoyed our DIY Hand Print Art? Find more fun & simple kids crafts here!